What does the family do whenever the coolest person that is my brother comes home to visit? Experience a restaurant, of course! 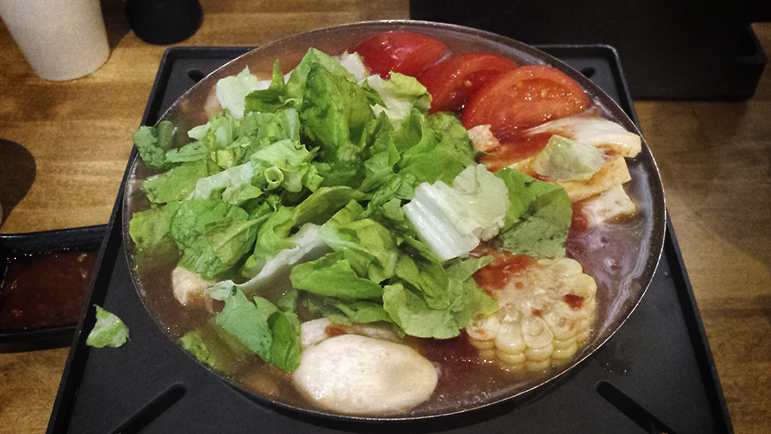 Boiling Point, located in Fremont, is a Taiwanese hot pot restaurant. 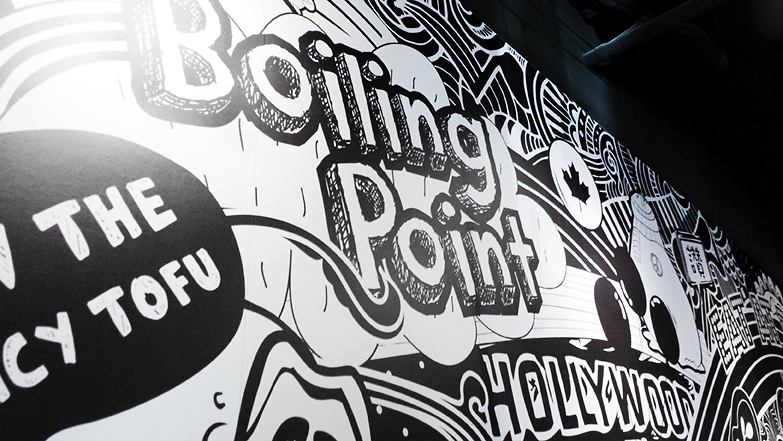 Upon entering Boiling Point, you are welcomed with an absolutely wonderful aroma that is reminiscent of the streets of Taiwan. By wonderful, I mean absolutely pungent smell that is stinky tofu (aka fermented tofu). The wait to eat at Boiling Point ranges from 30 minutes to 2 hours, according to friends and Yelp, but fortunately, we were immediately ushered to our seats. We ordered a plate of stinky tofu, and each of us ordered a hot soup. Eating stinky tofu was an interesting experience. The first bite was like eating a typical fried tofu, and then a strong fermented aftertaste knocks the wind out of you. Thankfully the sauce masked the aroma and fermented taste, so by the last tofu on the plate, it was palatable. 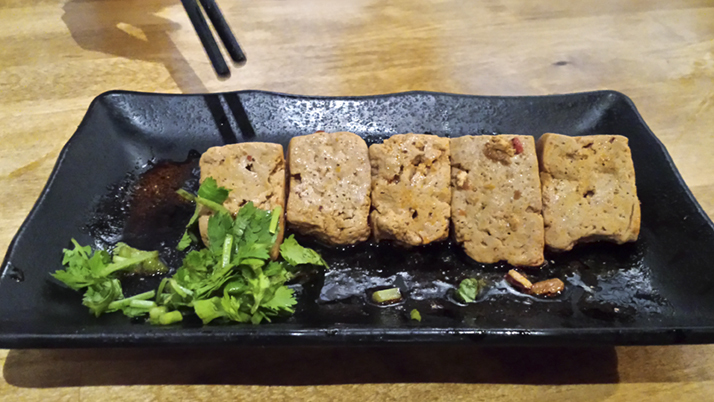 Apparently this stinky tofu pales in comparison to the ones sold in Taiwanese night markets. Unfortunately for all those who are allergic to seafood, your choices of hot soup are limited to two out of ten. If you’re like me who is also allergic to nuts, your choice is one: Tomato Veggie Hot Soup, which is still delicious nonetheless. I think the hot pot is large enough for two people, and I would recommend buying just one to share so you have some space for dessert. Honestly, my family was struggling trying to finish our own individual hot pots. As the name suggests, Tomato Veggie Hot Soup has a decent amount of vegetables. I was pleasantly surprised when I found a large stash of meat hidden under all the veggies. I knew there was pork since the menu lists all the ingredients in the hot pot, but I did not expect a generous amount. I definitely recommend adding some of their sauce to make the hot pot tastier. They even serve a bowl of rice with the hot soup. We couldn’t exchange rice for vermicelli noodles because it was soft opening, but the rice with the hot soup was still good. I definitely recommend going if you want to try (almost) authentic Taiwanese hot pot. I would definitely go back for the sauce; it’s that darn delicious!